I love sweet cocktails. I made it through college drinking White Russians and Amaretto Stone Sours (better than Keystone Light any way you look at it!). A mudslide, to me, might have ice cream and chocolate drizzle in a glass. By definition, it will have vodka, Irish cream, coffee liquor, and cream. A calorie killer to be sure - probably just as bad as having a frappucino every day. But it's the Christmas baking season. You'll have plenty of parties and cookie exchanges where you can pass these off to your friends. 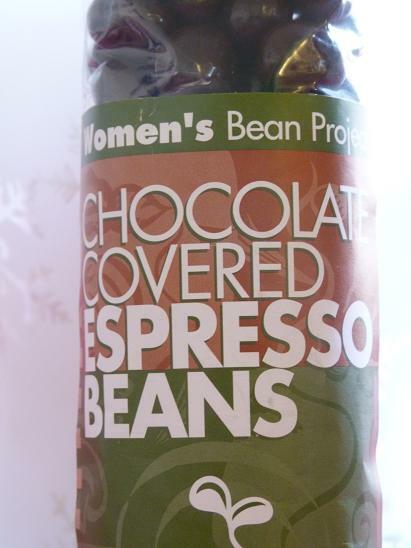 Garnish: Chocolate covered espresso beans, chopped. 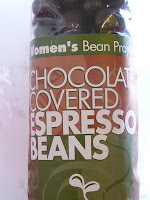 I supported the local charity The Women's Bean Project and bought these beans at church. 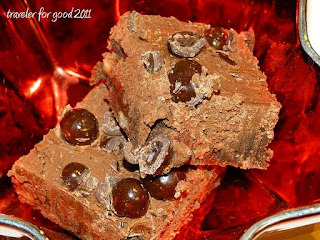 Melt 4 chocolate baking squares and 1/2 cup butter/margarine in a heavy saucepan over low heat, stirring occasionally. Remove from heat, and scrape into a mixing bowl. Add sugars, stir well. Stir in eggs, 2 teaspoons instant coffee granules, and 2 teaspoons Irish Cream. Add flour and salt, stirring until blended. Add pecans. Spread batter, it will be thick, into a foil lined 13x9 pan lightly sprayed with cooking spray. Bake at 325 for 25 minutes, Colorado time, or until brownies appear set on top. Cool completely. Frosting note: When I made it, I did it while I was making other things, so by the time the brownies were cooled, it had gotten very stiff. I just added some more whipping cream and was good to go. Melt remaining 2 baking chocolate squares and 2 tablespoons butter/margarine in a heavy saucepan, stirring occasionally. Remove from heat and put in medium bowl. Stir in remaining 2 teaspoons coffee granules and remaining 2 tablespoons Irish Cream. Add powdered sugar until it reaches a good spreading consistency, beat with an electric mixer. Smooth frosting over brownies. Garnish by pressing chopped chocolate espresso beans into the frosting. These are sweet and rich, so you can cut them small if you'd like.